I-Clad is a brick faced internal wall cladding system. 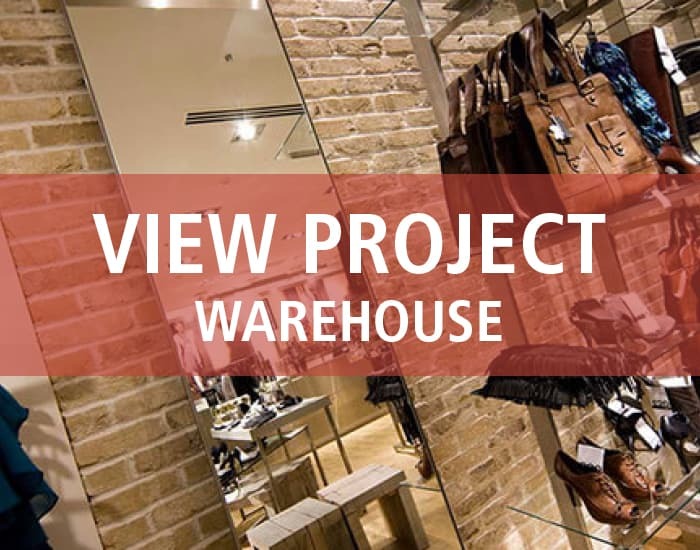 Developed by Eurobrick specifically for interior applications. 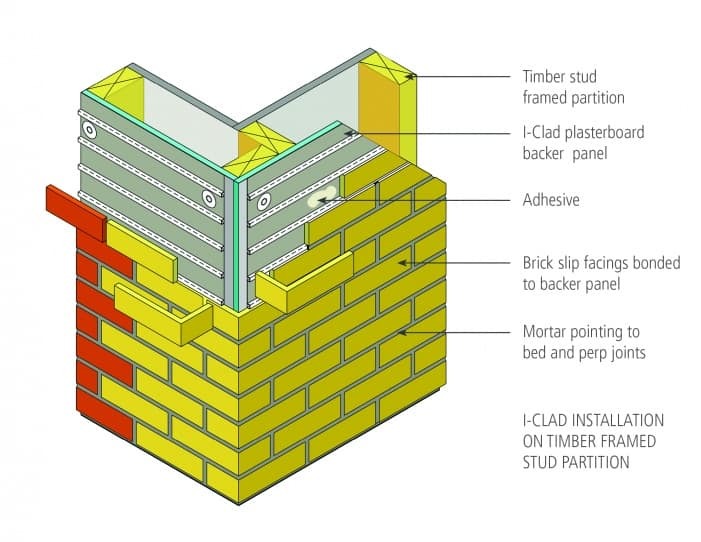 For fixing to battens or timber/light gauge steel stud walling systems, X-Clad or V-Clad may also be used for internal projects, for fixing directly to existing surfaces. Slimline profile minimises loss of valuable interior space. Suitable for commercial and domestic interiors. Indistinguishable from traditional brickwork, low maintenance with a life span of at least 30 years. Extensively tested with British Board of Agrément (BBA) certification. I-Clad is also LABC registered. You can view our certification here. Includes Eurobrick's own 25 year product guarantee. 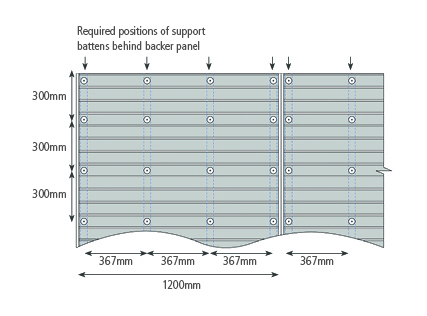 The composite backer panel comprises 12.5mm thick plasterboard laminated with Eurobrick's ribbed HIPS skin. Using the 12.5mm thick backer panel the system provides a slimline profile with a depth starting from 28mm (including the brick slip). I-Clad has an installed system weight from 40kg/m2. For smaller internal applications, particularly around fireplaces and inglenooks, cement based adhesive and brick slip spacers can be supplied as an economic alternative fixing method to using the panel systems. We can also supply spacers and cement based adhesive for application. The plasterboard backer panel can be fixed to timber or light gauge steel studs or existing plywood or plasterboard surfaces. Where I-Clad is fixed direct to battens on framing systems, these must be correctly positioned to meet the system fixing requirements. If you would like more information, you can download the I-Clad Product Leaflet or the Installation Guide from our resources section, and view How the System Works. 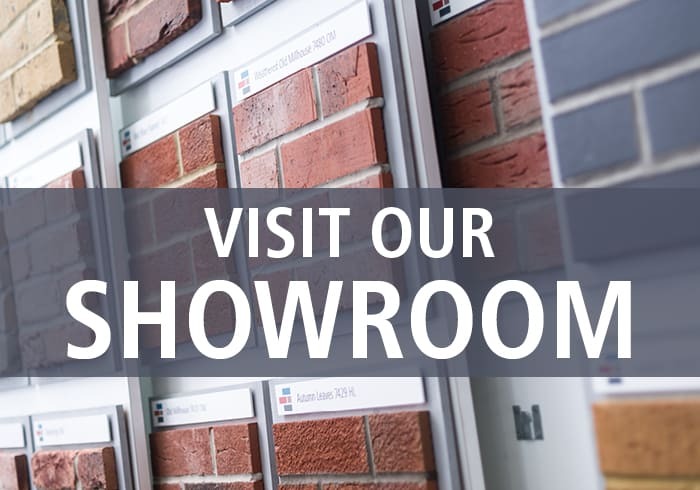 To place an order you can either fill out the form on our Estimates page or give us a call on +44 (0)117 971 7117 or email info@eurobrick.co.uk.